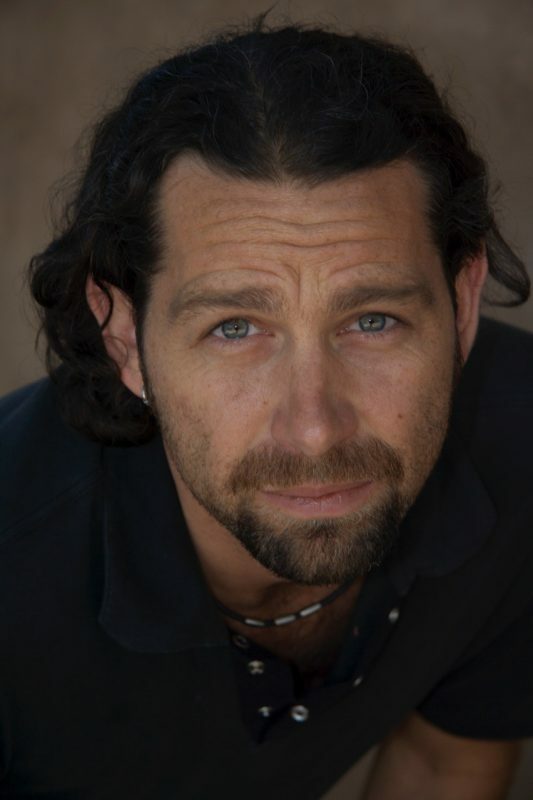 Luca Ceccarelli is an Italo-American Director/Producer, based in Los Angeles with strong ties to Santa Fe, New Mexico, where he is festival programmer and creative director of the CineFesta Italia Film, Food & Culture festival launching this year. The festival runs in Santa Fe, June 1-4, 2016 and showcases current Italian films. CineFesta is honred to host emcee, Filippo Voltaggio. Luca is currently developing two features and a TV series co-authored with his producing partner, Eileen Street. Together they own and operate development and production company, HDNM Entertainment and their Los Angeles shingle, EDGY Pictures. His passion for directing moved Luca to spearhead The Director’s Edge, which offers unique tools and coaching programs designed to help emerging and established directors maximize their creativity, preparation and practice, featuring the unique Get-Set-Ready! Method. For Luca It all started in 1979 with his big sister’s Fisher Price record player and a collection of Morricone cuts from Leone classics. He buckled his holster, readied his caps in his plastic six-shooter, tipped his hat low above his 5-year-old brow, and stared into the mirror. That was it. In that moment he knew he was a filmmaker. Luca is extremely excited to be developing his own features, Noah’s Ark and Eve Angelic. Luca directed and produced the reality-tv pilot Planet Snowkite – Episode 1, Ushuaia/Argentina (FilmCom 2011). Before that, he was primarily engaged in producing and line-producing film and television features. Titles include Italian “spaghetti westerns”, Triggerman (Lionsgate 2009) and Doc West (Lionsgate 2009), starring European favorite Terence Hill, and Paul Sorvino. Other titles include the Santa Fe Film Festival – Independent Spirit Award winner, Shoot First & Pray You Live (Lionsgate 2008), as well as grind-house exploitation flick Naked Fear (Cinetel Films 2007). Luca studied at ARTTS International, UK, and St. John’s College and graduated from the College of Santa Fe with a BA in Moving Image Arts (with honors). He spearheaded HDNM Entertainment in 2004. Luca was Founding President of the New Mexico Post Alliance (NMPost.com) and creator of ShootSantaFe.com.